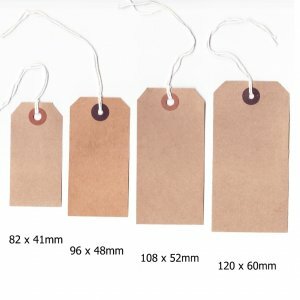 Strong, quality buff tags with washers and string, made from 100 percent recycled board, sized 96 x 48mm. Comes in packs of 50, 100, 500 or 1000. Packs of 20 available here. 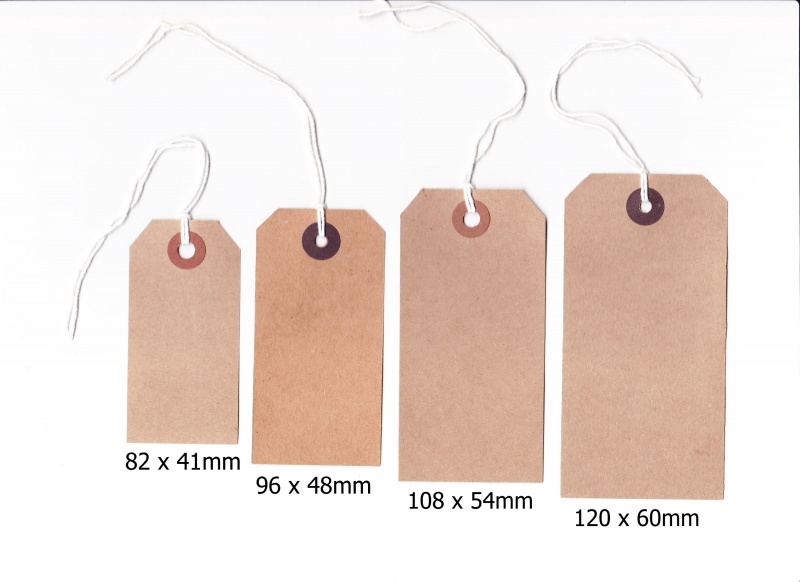 The shade of brown card used for the tags can vary by batch, as does the colour of the washer (which will always darker than the tag card). If you order more than one and would like the tags and washers to match, please let us know in the comments at the checkout.